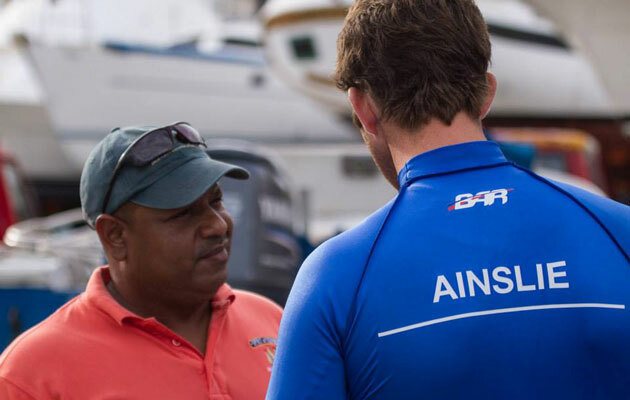 Having arrived in Bermuda in the middle of January ahead of the competition, Ben Ainsle Racing spent a week on the island training for the 35th America’s Cup. 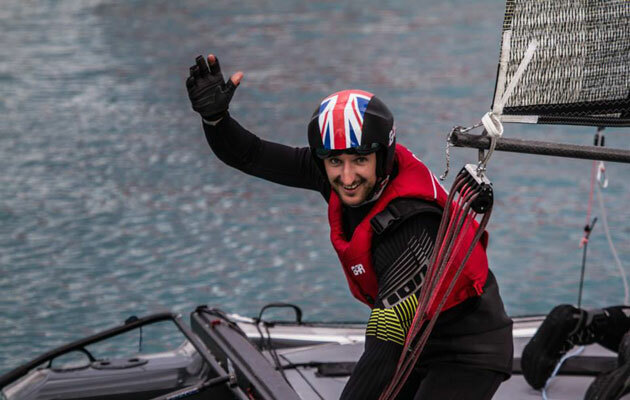 Olympic sailor Sir Ben Ainslie joined the team as they trained aboard their two foiling Nacra F20s and enjoyed the much sunnier climes. 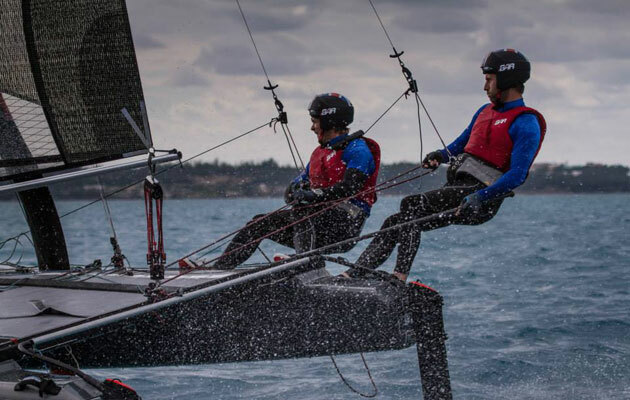 This is the first time the team will have trained together in Bermuda for the America’s Cup, having previsouly sailed their Nacra F20s off Port Hamble in the UK. 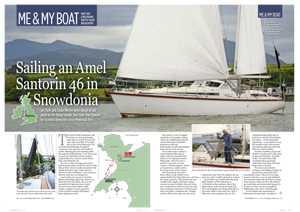 “We’ve learnt a huge amount and can now go back to our design team and start working on developing the final race boat for 2017. 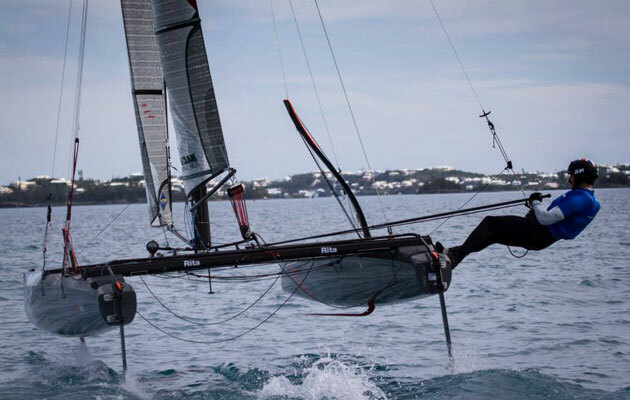 “Bermuda is just the most beautiful island, the people are so warm and friendly and are already really excited about having the America’s Cup here, we are all looking forward to returning”, he added. 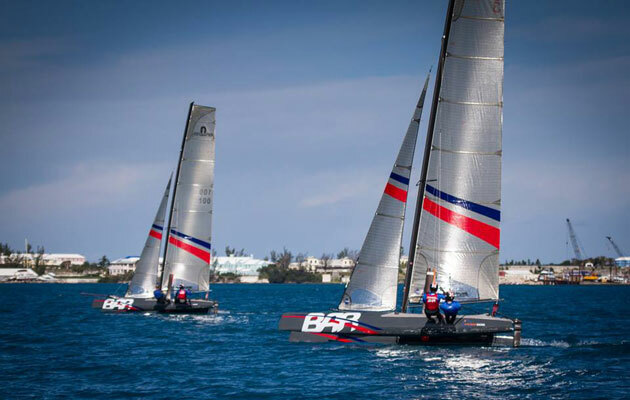 BAR’s sailing team manager, Jono Macbeth said: “It’s absolutely fantastic to be in Bermuda on our first winter training camp and we’re just getting stuck in. 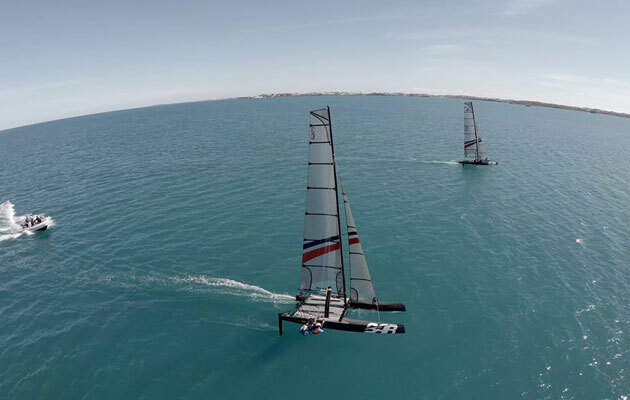 We have our two foiling 20s with us and the main objective is to get everyone up and foiling. It’s proving to be a fantastic venue. 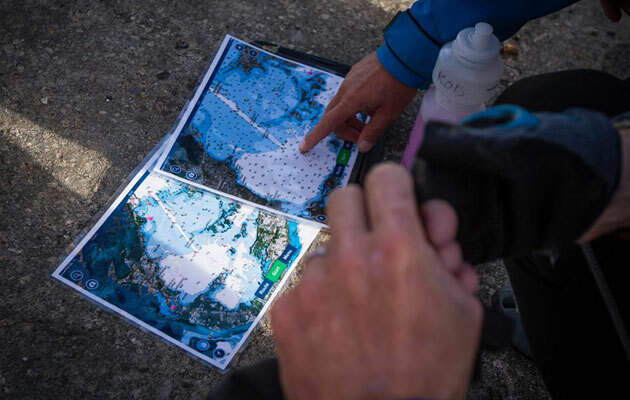 “I really wanted to make sure that were using our time wisely out here so we are doing two training sessions in the gym and sailing the boats five or six hours every day. There’s really not a huge amount of time for the boys to do anything except eat, train and go sailing. 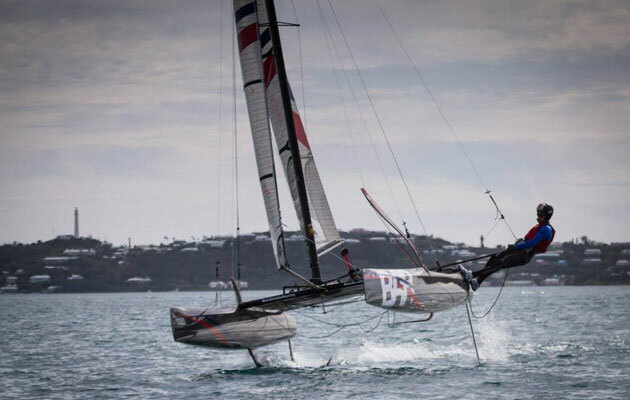 “The atmosphere here in anticipation of the America’s Cup is incredible; everyone on the island is so into it. This year is just going to fly by and hopefully we will be back for another camp soon,” he added. The team are hoping to really get to know the sailing community during their visits to the isalnd, with locals already expressing their excitement and support for the 35th America’s Cup. 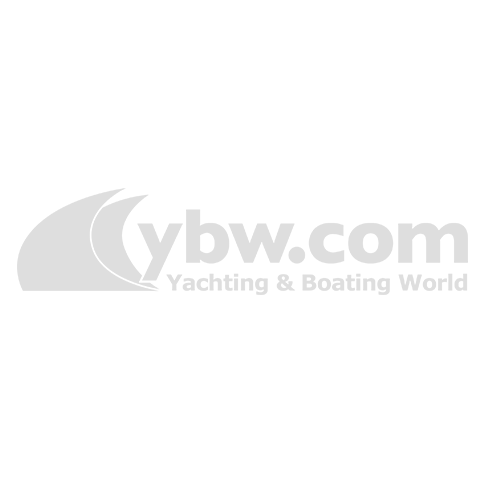 As well as the main event in 2017, there will be a number of America’s Cup World Series taking place in the run up. Two of these events are due to be hosted by Portsmouth in both 2015 and 2016. More than 500,000 visitors are expected to descend on the coastal city during the spectacular events.